According to a Federated Health Insurance Company review, this outfit offers healthcare coverage to businesses in 48 states. Based out of Owatonna, MN, this business was formed in 1904, and now it has regional offices in approximately eight states. Not only does Federated Insurance Company offer health insurance to its policyholders, but it also offers other products as well. To get Federated health insurance quotes in addition to other major insurance carriers, enter your zip code here to get started. This insurance company specializes in commercial property and casualty coverage under multiple lines. If you have a business, you know the importance of business insurance coverage. Businesses are required to carry worker’s compensation if they have a certain number of employees. This number is established by each state, and averages around five. Many other businesses fit this description. Each one of these businesses has different needs and Federated Insurance Company has a detailed product package to accommodate them. This company’s policyholders receive the choice of the necessary plans like general liability, which is sufficient for small sole proprietors. General liability protects your business against legal liability losses that may affect your personal assets. Commercial auto insurance plans are also a necessary part of a business. Depending on the level of risk, surety bonding is a necessary option as well. Property coverage may include the business dwelling, whether that is a garage or office. Your Federated representative will put together what is called “The Right Report” to be sure your business insurance needs are met. Healthcare is an important part of any business whether you offer healthcare plan options to your employees, or as part of your worker’s compensation responsibility as an employer. This company offers your business affordable options through the Federated Health Choice program. This is a Federated Mutual group plan exclusively for small to medium sized businesses. This healthcare coverage offers a medical plan, dental, vision, disability and life. Federated operates under a PPO or preferred provider organization. These plans offer flexibility and affordability. You choose the provider without the need for referrals. It offers preventive care so that you can maintain regular screenings and physicals. The prescription plan is through Express Scripts while Encompass collaborates with Federated Mutual to advise you on your treatment and provider choices. This is like a utilization review step. The discount vision program works in conjunction with Careington International. Disability products are offered in $100, $150, $200, and subsequently hundred dollar increments up to $500. Weekly payouts are paid up to two-thirds of the employee’s weekly pay, with a $500 maximum. Benefits are paid for 26 weeks in a year. Most reputable commercial insurers offer risk management services to assist business policyholders in controlling cost and losses. Federated is no different in that it offers a comprehensive risk management program. A Federated representative works directly with your designated risk management representative. This company designee is responsible for coordinating safety training and workshops, while maintaining compliance with government standards. Your Federated representative will perform an on-site assessment of possible safety hazards, liability possibilities, and employee related factors. After analyzing your situation, the company offers management services to help your business minimize costs and risk factors. 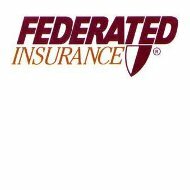 If you have ever considered a career with Federated Insurance Company, they are looking for certain type of people. While there may be several opportunities with the company, they are looking for candidates with “knowledge, energy, and passion“. These are characteristics evident in those already working for the company. This company has a good reputation with its employees, which is unusual for a company. Many people tolerate their jobs and career choices as a means to a paycheck, but several of Federated employees made it a point to give this company high marks as a nice place to work. The same cannot be said for policyholders who decided to do business with the company. In a survey, this company did not score well at all amongst its policyholders. Seventy-seven percent were very unsatisfied whereas five percent were just unsatisfied. Eighteen percent were extremely satisfied with the company. To get more information and health insurance quotes from Federated and other big name insurers, enter your zip code here and you will have your quotes in minutes. Federated saved me a ton of money by bringing in an idea that my agent NEVER even showed me. Their health insurance plans are way better than other carriers and their network includes EVERYBODY! I can’t see why people wouldn’t choose Federated. If you want ideas to save money…then go see your Federated rep!! And I absolutely love my Federated rep…very well trained and fun to work with!